Special counsel Robert S. Mueller. Photo credit: FBI. Ever since the early days of the Boston Marathon bombing investigation, it’s been commonly understood that Tamerlan Tsarnaev first came to the attention of the FBI thanks to a March 2011 “warning” from the FSB, Russia’s security services. We now know this to be false. In a little-noticed exchange during congressional testimony, the FBI’s then-director Robert Mueller admitted that the Bureau had an interest in the elder Tsarnaev before Russia’s warning. That crucial admission has somehow become buried over time, and the government has been only too happy to leave it out of sight. What else is the Bureau hiding—and what is the truth behind this subterfuge? The record shows that the FBI has repeatedly flip-flopped on this matter, but the significance of this curious behavior has escaped the scrutiny of the traditional media. In fact, it turns out that Tamerlan Tsarnaev came to the FBI’s attention at least twice prior to Russia’s March 2011 warnings. “ I don’t believe so,” Mueller responded. “Wait, wait, wait,” Mueller stammered, “His name had come up in two other cases.” He went on to say that Tamerlan’s name came up regarding cases of other individuals which were subsequently closed. “So it’s reasonable that the letter of March 4, 2011 refocused the FBI on Tamerlan?” King continued. That exchange came during testimony in June 2013, before the House Judiciary Committee. What’s particularly notable about the exchange, besides Mueller’s apparent shift in demeanor, is that King had just returned from Russia where he was briefed extensively on what the Russians knew about Tamerlan Tsarnaev back in 2011. Even more notable, as King points out in the exchange with Mueller, was the extensive amount of information Russia gathered on Tsarnaev, an individual living in the US. And yet, as was made obvious by King’s line of questioning, the FBI missed Tamerlan’s “radicalization,” despite already having him on their radar, something Russia was able to do from afar. An anonymous FBI source told Politico’s Josh Gerstein, one of the only mainstream journalists to pick up on the notable exchange, that the prior contacts were benign—and not about terrorism. But that leak, possibly authorized, may have been calculated damage control to minimize the prior contact. While Tamerlan’s name apparently came up during investigations of other individuals, the fact that it wasn’t Russia that first brought him to the FBI’s attention calls into doubt key government statements about the entire case. And regardless of whether the investigations ostensibly unrelated to Tamerlan involved terrorism or otherwise, Mueller’s admission stands as yet another instance of potential contact between the Bureau and Tamerlan, something they’ve been all too eager to minimize. 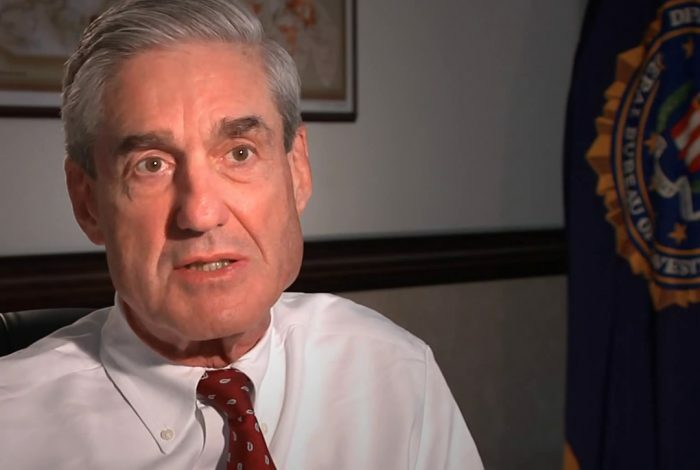 Among the topics addressed in Mueller’s testimony were the Boston Marathon bombings, the then-recent disclosures about NSA surveillance from Edward Snowden, and the impact of sequestration budget cuts on the Bureau. Considering the contentious subject matter discussed at the hearing, it’s not surprising that the revelation about the FBI’s interest in Tamerlan Tsarnaev was missed by most of the media. Soon after the bombing, though, with intense media scrutiny, the FBI’s reluctant admission that they had indeed contacted Tsarnaev prior to the bombing raised more than a few eyebrows. The day after the FBI press release, The New York Times, almost in passing, quoted a “senior law enforcement official” who told Times reporters: “In January 2011, two counterterrorism agents from the Boston [FBI] field office interviewed Tamerlan and family members.” That’s two months earlier than the first contact date in March the FBI had admitted to only the day before. (Please go here and here to see our first reports on this anomaly.) Oddly, the Times has never focused on this seemingly accidental scoop. And although the Times report was based on anonymous sources, Director Mueller’s testimony during a House Judiciary Committee hearing six months later—that Tamerlan was known to the Bureau before Russia’s warning—certainly adds to the credibility of the assertion. This evidence, which has grown over time, of FBI association with and awareness of a man accused of—along with his younger brother—executing the largest terror attack in the United States since 9/11, is of course very big news. But it also stands out because of the government’s relentless propaganda effort to shift blame to anyone else for its failure to avert the Boston bombings. In one recent example among many, federal prosecutors sought to saddle a friend of Dzhokhar Tsarnaev with responsibility for the death of MIT officer Sean Collier. The prosecution argued improbably that the college student could have prevented the officer’s mysterious death if he had identified his friend from the FBI photos. 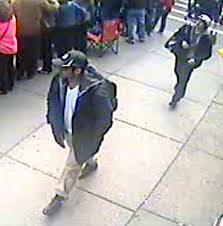 • Why wasn’t the FBI able to recognize either brother after the bombing despite being in possession of a trove of photos of them at the Marathon? And didn’t they look familiar to the FBI counterterrorism agent who, by the Bureau’s own admission, had interacted repeatedly with Tamerlan Tsarnaev and his family? Where is all this going? The relevant pattern, and perhaps the underlying story here, is clear. The FBI has a well-documented history of interacting with vulnerable young Muslims, including recruiting them to stir up potential troublemakers in their community—something even Dzhokhar Tsarnaev’s super-cautious defense team brought up in court. His lawyers filed court papers that declared the FBI’s interactions with Tamerlan “were among the precipitating events for Tamerlan’s actions during the week of April 15 2013.” This was because family members and “other sources” told the defense team that the FBI pressured Tamerlan into becoming an informant on the local Chechen and Muslim community. Is the Boston Bombing story really about yet another government operation where something went terribly wrong? So wrong that, for government operatives accustomed to covering up errors large and small, it was time to bring out the usual smoke and mirrors—and for the media to pass the official version along to the public without showing the slightest skepticism or investigative initiative?